Domestic violence charges are not taken lightly. If you have been accused of causing Assault and domestic violence, protect your reputation by consulting an experienced criminal defense attorney. Here at Kotlowski Law Office PLLC, we have over 20 years of experience practicing criminal law and understand the potential penalties you may be facing. We can provide the legal guidance you need to aggressively defend your interests. Allegations of assault and domestic violence can severely impact your life. Our experienced attorney can help you understand the charges against you and build a strong defense in your favor. Speak with our knowledgeable and friendly staff members to schedule a free consultation to discuss the details of your case! The consequences for vehicular assault charges are very serious. 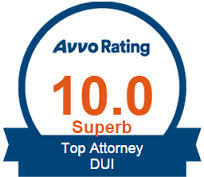 You can rely on our attorney, W. James Kotlowski, for quality legal representation. Request a free consultation today! If you have been accused of reckless driving, you may be facing serious consequences. Our Seattle criminal defense attorney understands the laws regarding reckless driving and can provide the legal guidance you need. The sooner you can have a skilled attorney representing your case, the more likely we can build a strong defense on your behalf. 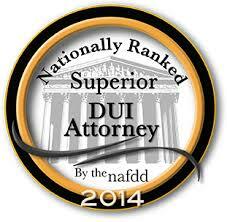 At Kotlowski Law Office PLLC, we are highly skilled and experienced in helping clients with driving related offenses. Would you like to schedule an appointment with our Greater Seattle Area criminal defense attorney? We would be happy to offer you a free consultation to discuss your reckless driving charges and how we can help. Speak with our representatives to get started! Although any type of accusation or arrest can be stressful, being accused of a drug crime can be incredibly devastating. Even if you are not convicted, the legal battle will likely be trying and the toll that this can have on your reputation is substantial. Having an experienced Greater Seattle Area criminal defense attorney is beneficial to see that your rights are protected. For 20 years, our team at Kotlowski Law Office PLLC has represented clients like yourself in a variety of drug cases. You can count on us to do what it takes to ensure your best interest are heard. To make an appointment, please do not hesitate to call us today. Violating the terms of your probation can result in serious consequences, including warrants. A probation officer often determines whether or not to file a warrant for a probation violation which can result in returning to court for an additional hearing. Our Seattle criminal defense attorneys can review your situation and build a strong defense in your favor. No matter what your circumstances may be, our law firm has over two decades of experience. We are available 24 hours a day, 7 days a week for your convenience and deliver outstanding customer service. Law enforcement officials can charge you with disorderly conduct if you have caused a disturbance to the surrounding community. The consequences of disorderly conduct, which is often associated with intoxication, vary depending on the circumstances of the situation. At W. James Kotlowski, we will examine all aspects of your situation to determine an appropriate course of action. Most disorderly conduct are considered misdemeanor offenses, but the circumstances may lead to felony charges including imprisonment, fines, and probation. To request more information regarding disorderly conduction, please contact us at (206) 395-2004!